2017 Ava is easily one of the greatest white rhone blends we have put together in the past 9 vintages making this wine. 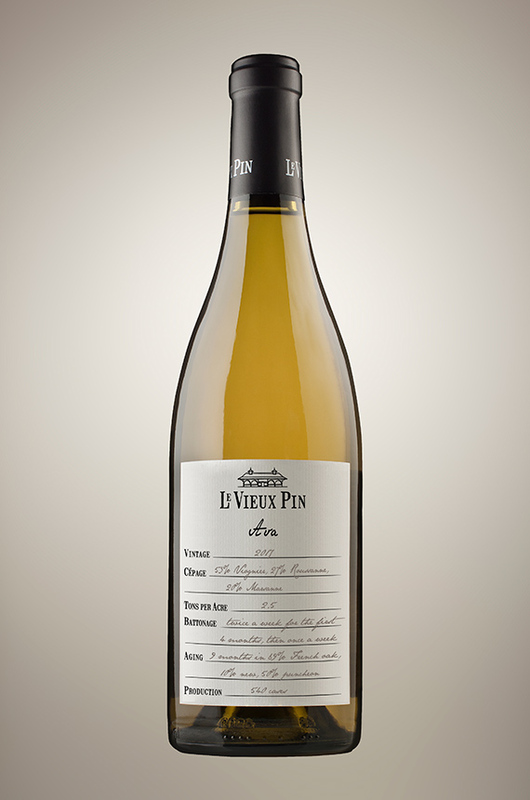 It is packed with the very essence of Viognier, Roussanne and Marsanne. A wine that will both wow in its youth and in the long term (specially after 5-8 years of bottle age). Today, Ava 2017 is at its best with a long decant or better yet tucked away for at least a couple of years of slumber time in the cellar. Viscous, full throttle but never overbearing. There is an erect spine holding this voluptuous wine in poise and in balance. Red Haven peaches, yellow plums are mingling with white aromatic flowers, herbal tea, and light brioche notes. The restrained amount of new oak used in the upbringing of this wine is very well integrated already and barely shows itself more than a thin frame around a beautiful painting. With long decant, slight acacia honey drizzled notes on toasted brioche bun come to the foreground. Anticipate beautiful toasted cereal notes to come forward about half a dozen years post vintage. Languedoc-raised winemaker Severine Pinte has made a speciality of Rhône grapes at Le Vieux Pin, with resounding if discreet success. This 53% Viognier, 27% Roussanne, 20% Marsanne blend is everything it should be and more, in florality, flavour and finesse.